so. you’ve got all sorts of lovely photos from your recent family photo shoot for christmas cards, right? right. so, after you get your christmas cards mailed all over the globe, you realize you’ve still got some beautiful memories that need to be enjoyed by you and your own family. over the next few days i’ll be posting fun holiday and gift ideas based around photos. 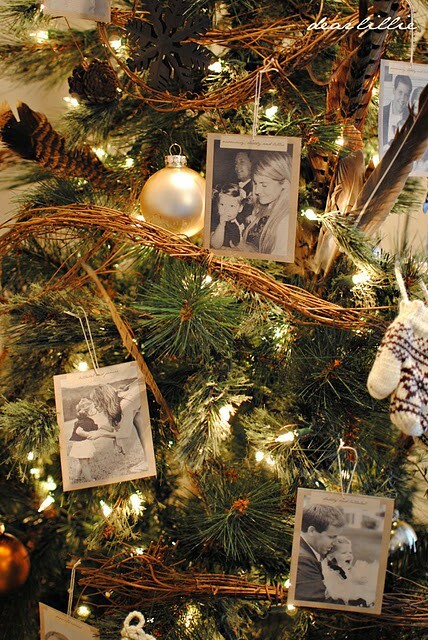 and so to start, we’ve got…..photo ornaments. none of these ideas are my own (so i’ve included their original links), but i’ve been collecting and storing them away on pinterest to share with you during this special season. take a gander at what we’ve got here, girls. and i promise, there’s a lot more loveliness coming right up. i love the variety. black & white, vibrant colors, old photos, new photos, friends and family. 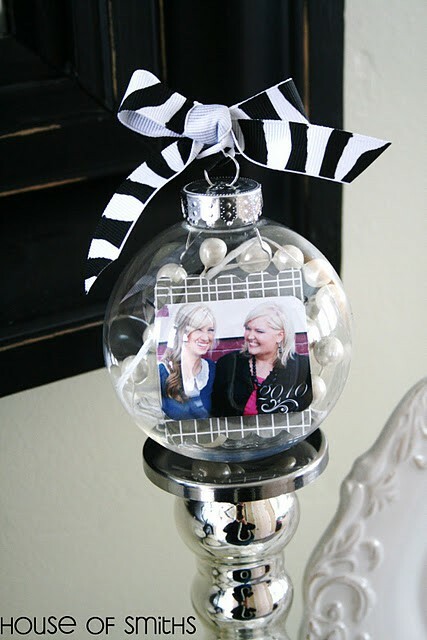 what a sweet way to make your memories part of your holiday decor! and, um, hello. apparently i have a thing for ribbon. who knew?